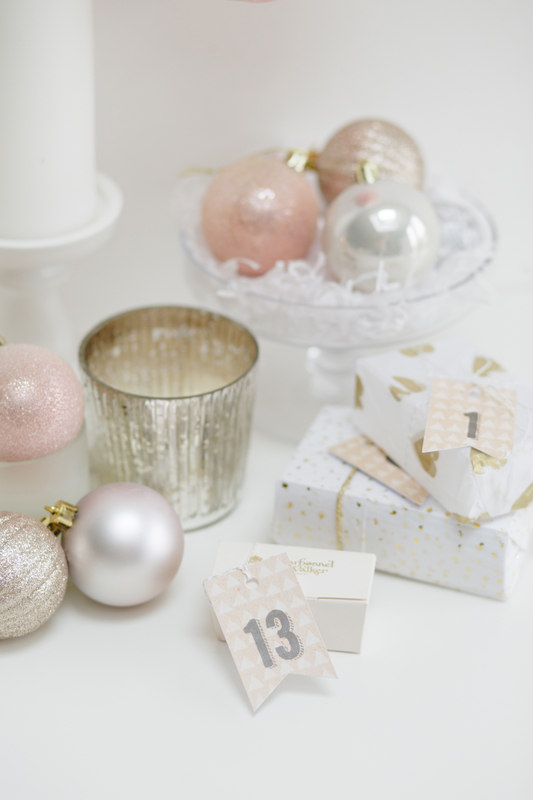 I don’t think I’m alone in feeling that December is without doubt the most manic (and in many ways, most wonderful) time of the year. 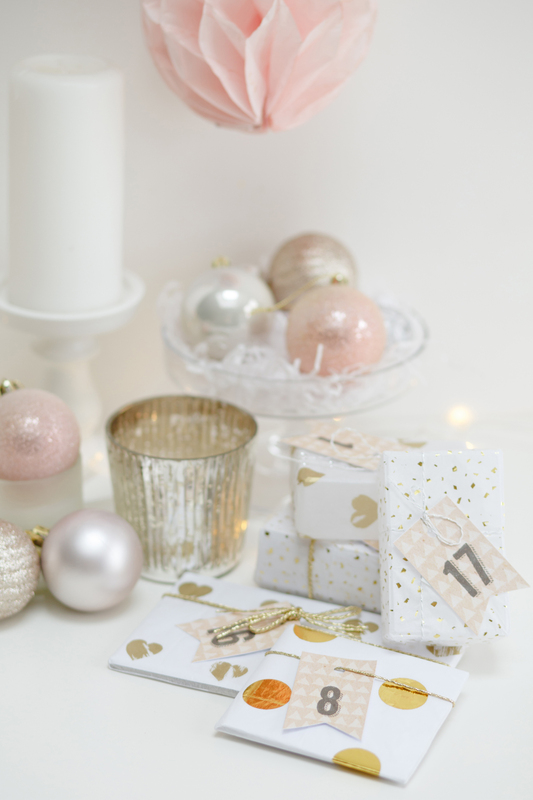 For many of us there are work do’s to attend, Christmas parties to enjoy, nativity plays to watch, shopping to be done, plans to be made and so on – and on, and on! 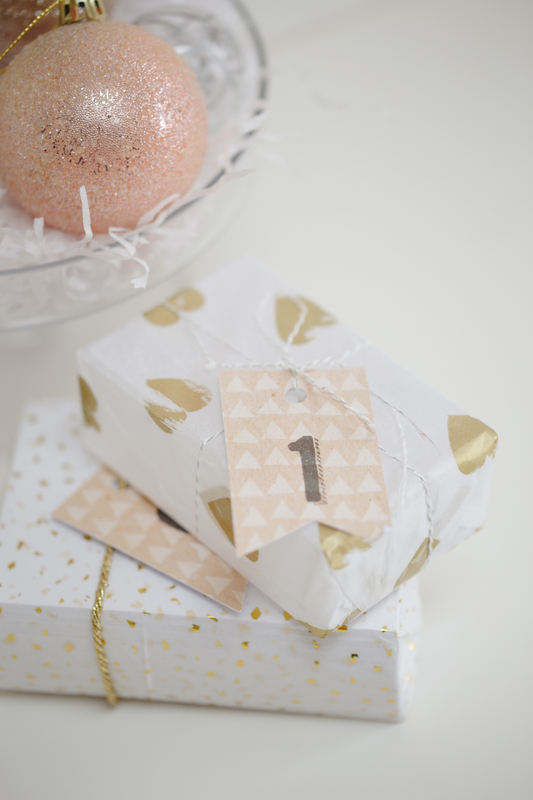 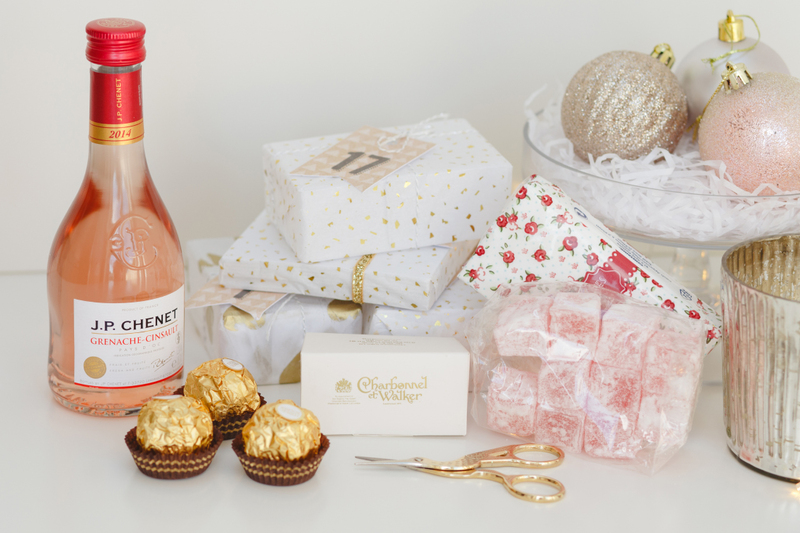 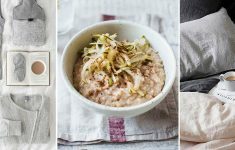 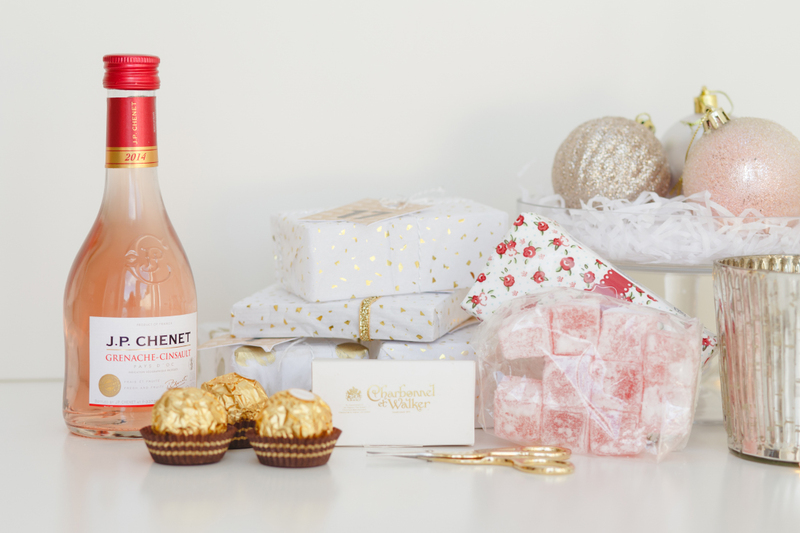 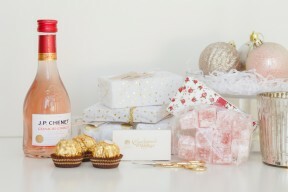 For this reason, I absolutely adore this feature I’m sharing with you today – I love the idea that one of your loved ones can take 5 minutes each day, before the chaos begins to catch their breath and open a little something special – counting down the days of advent in sparkle and style – a little, gorgeously wrapped and full-of-thought treat to look forward to every morning! 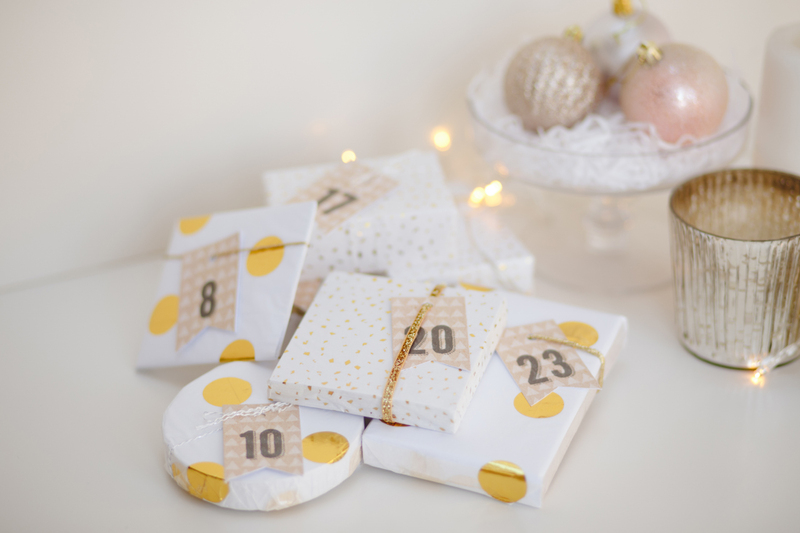 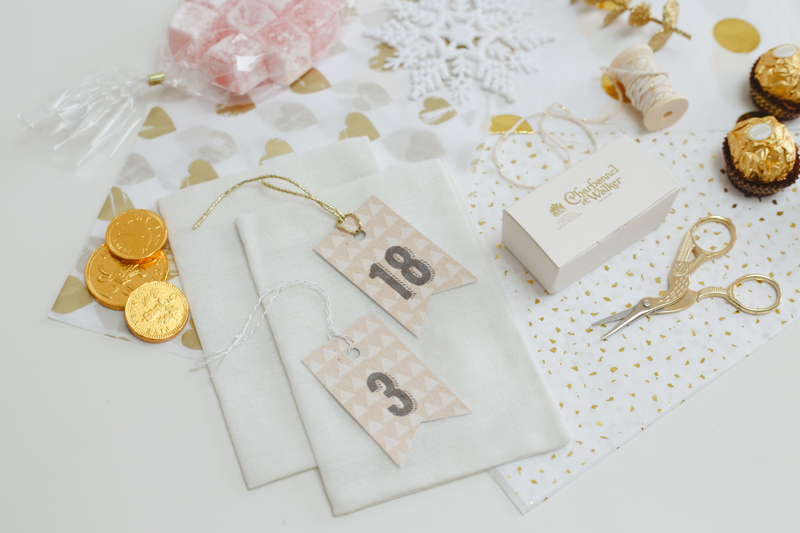 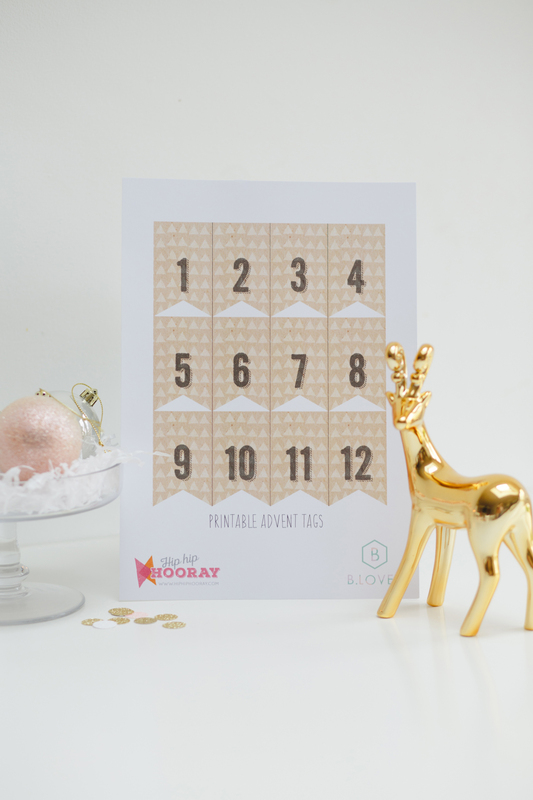 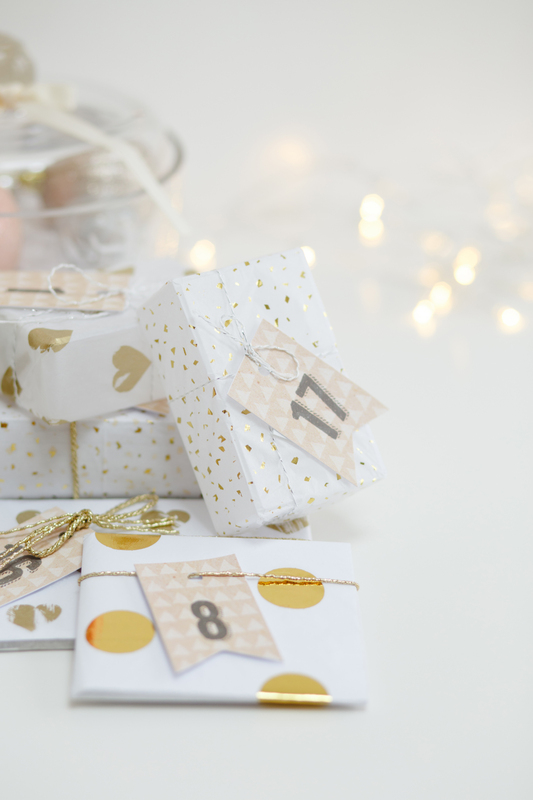 This DIY alternative advent calendar inspiration comes with some gorgeous Free Printable Christmas Countdown Tags which I have designed especially for you. 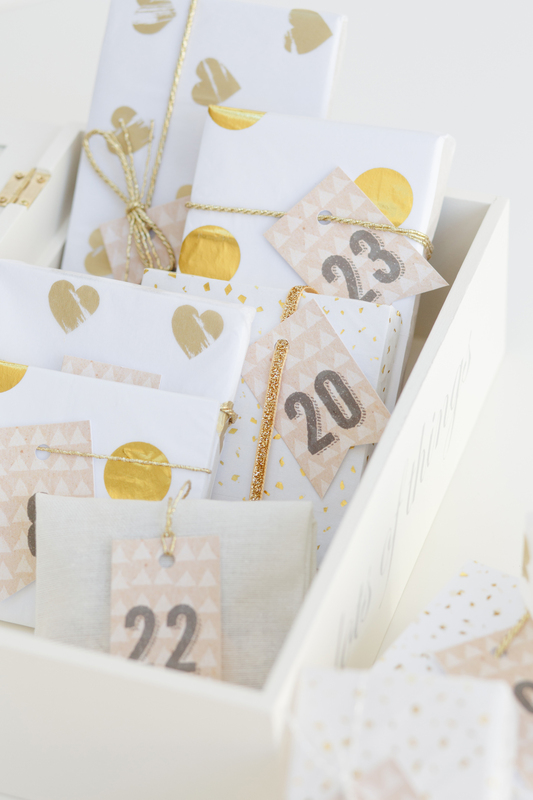 Sure, it takes a little work to procure and prepare 24 little surprise treats, but what better way to show someone they are loved and cherished?! 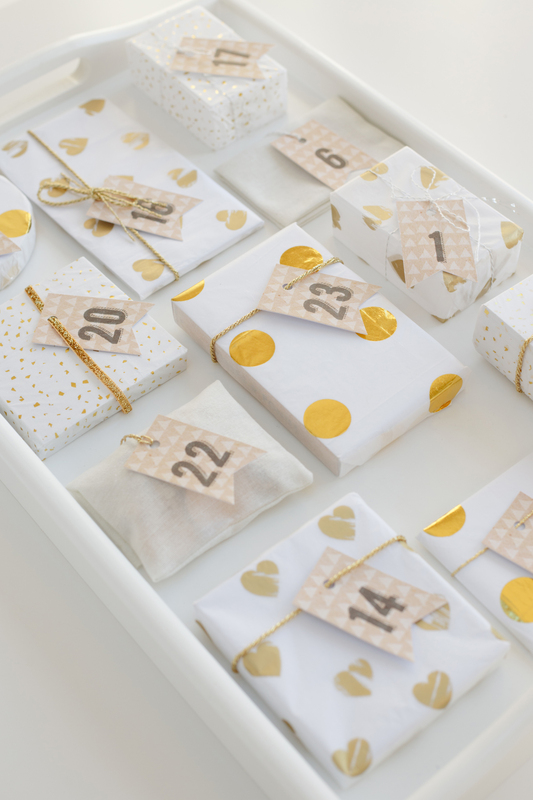 You can even use this idea in lieu of a traditional Christmas gift to be opened on Christmas morning. 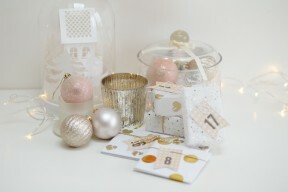 Christmas is all about family, and I love the idea of doing this for your mum, sister, wife, daughter, grandma or aunty. 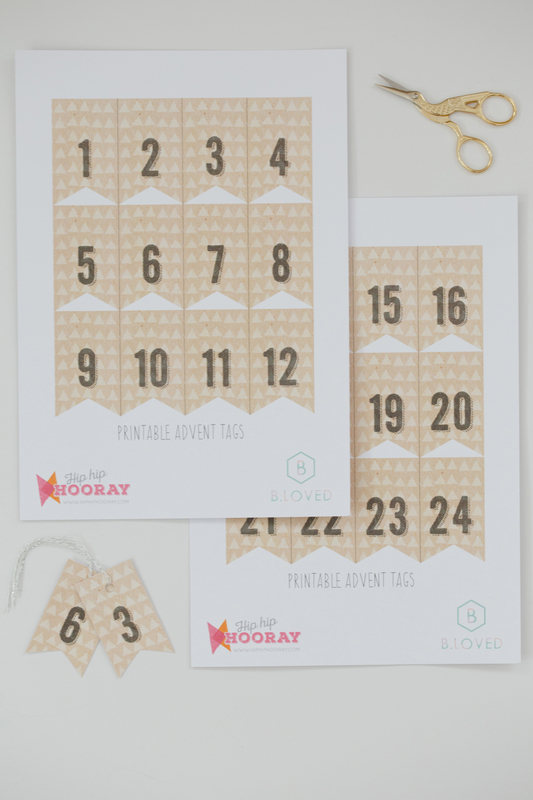 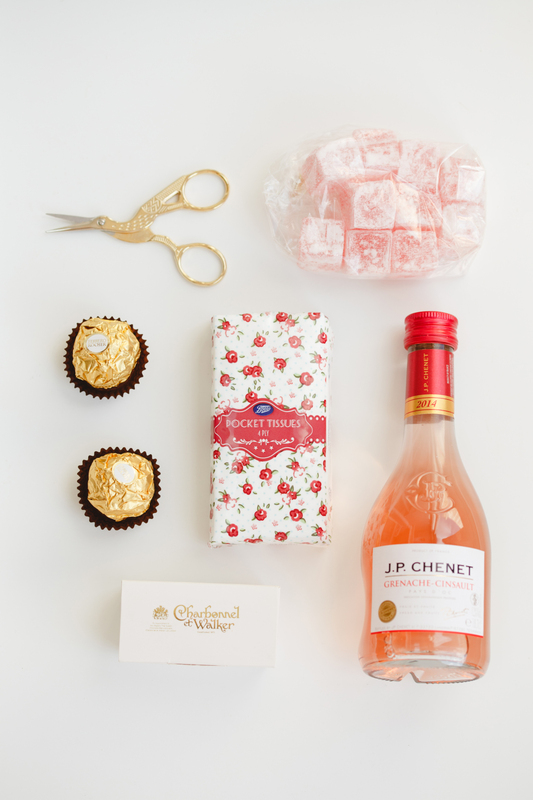 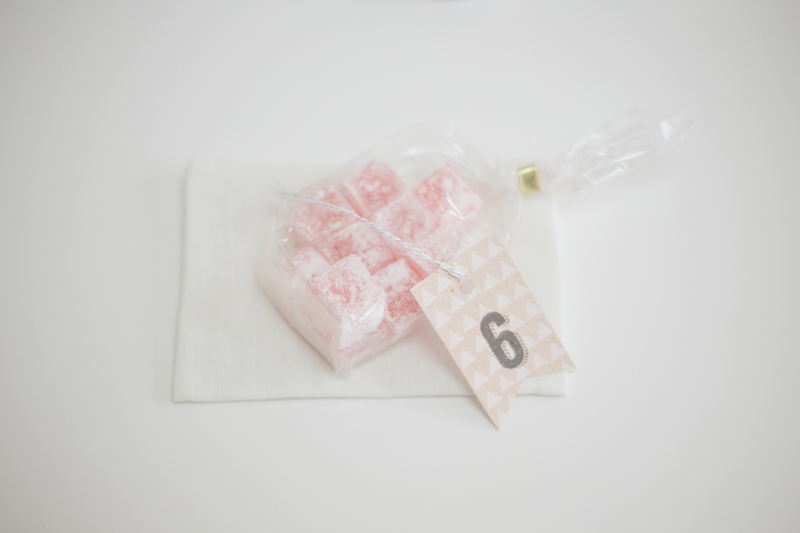 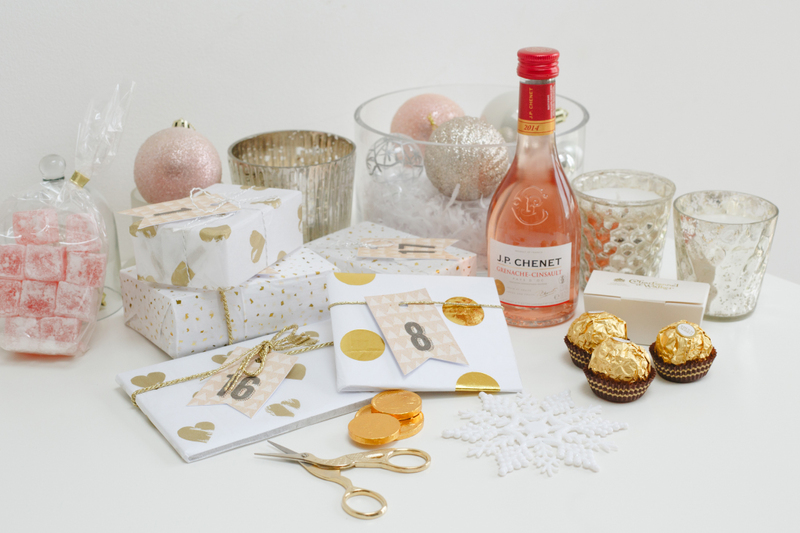 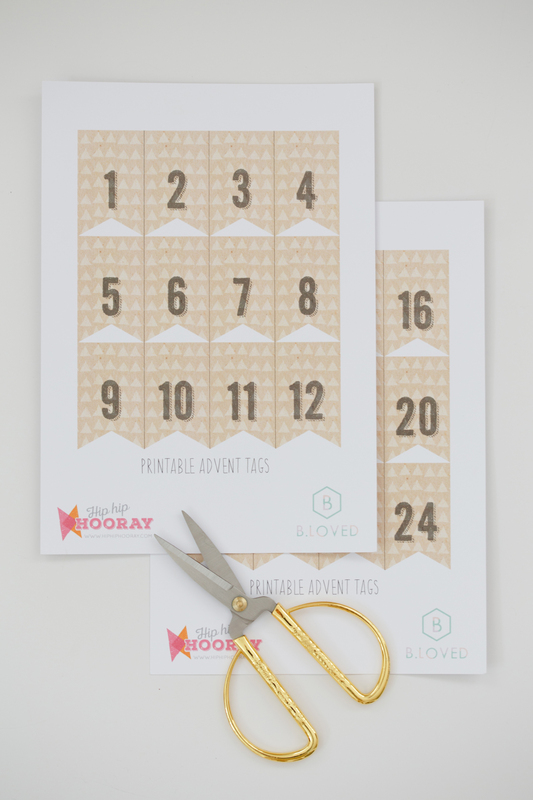 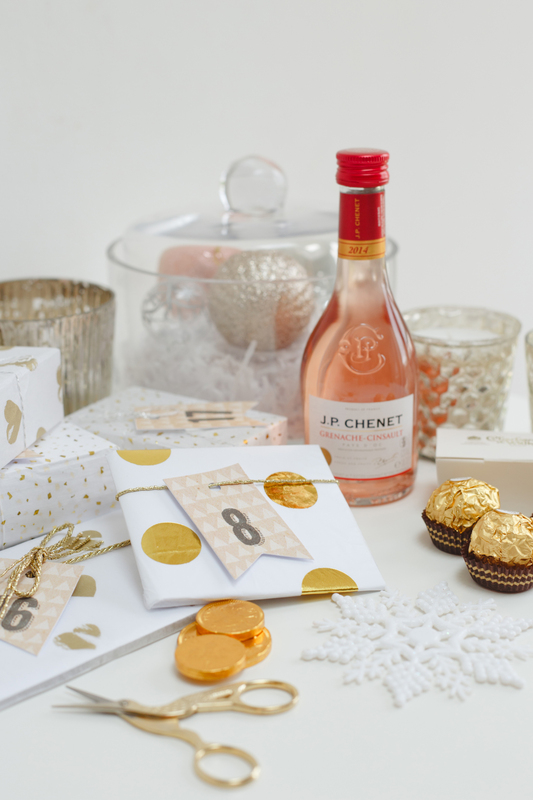 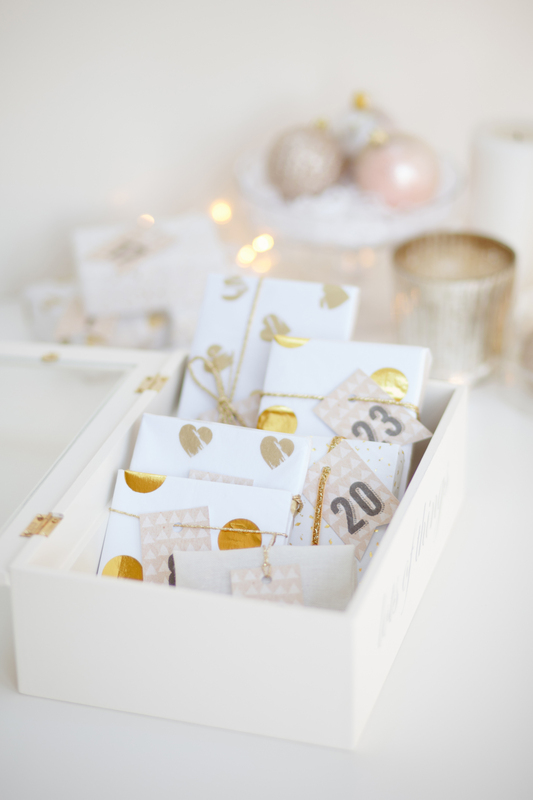 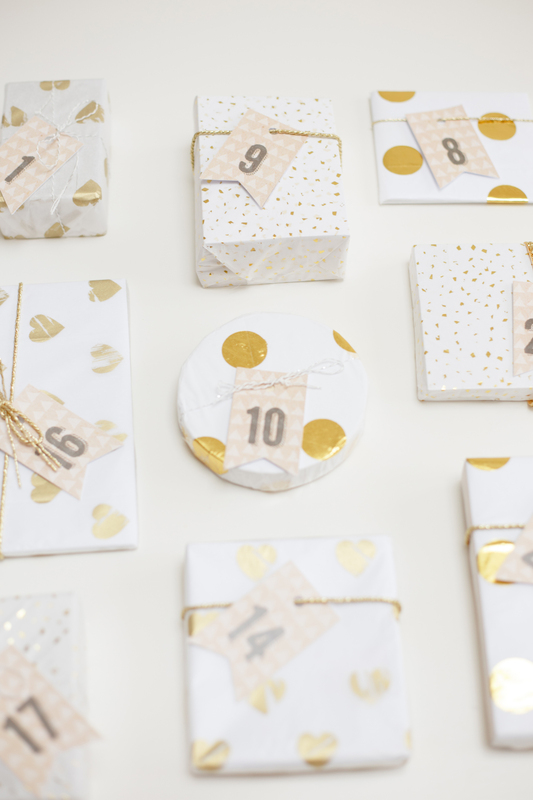 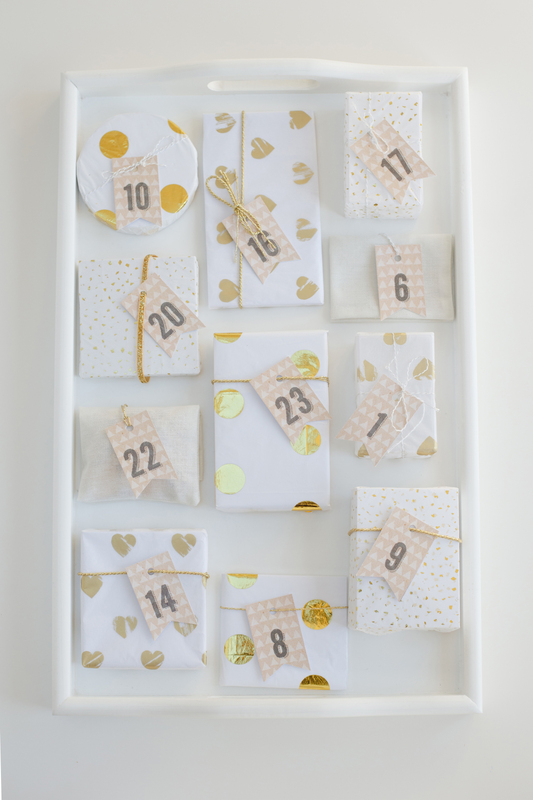 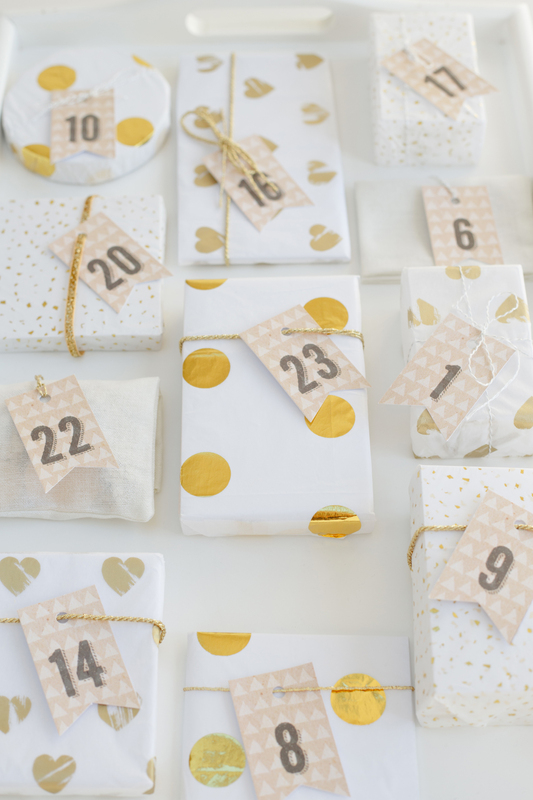 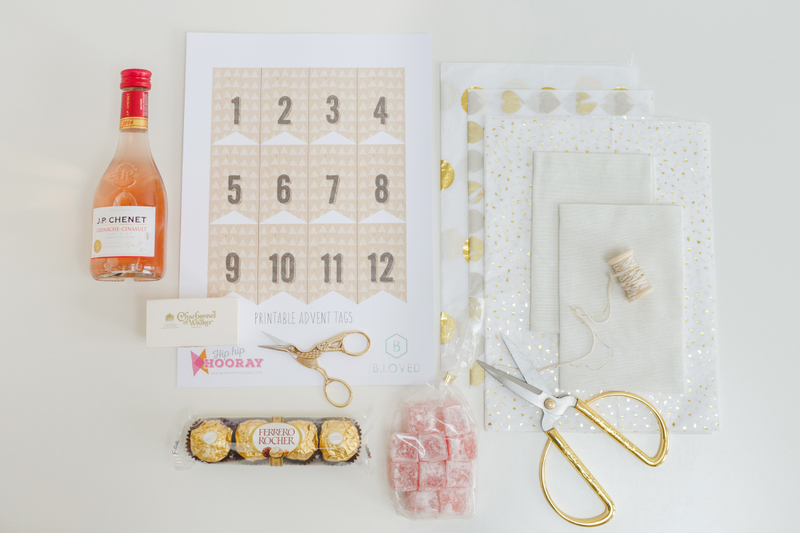 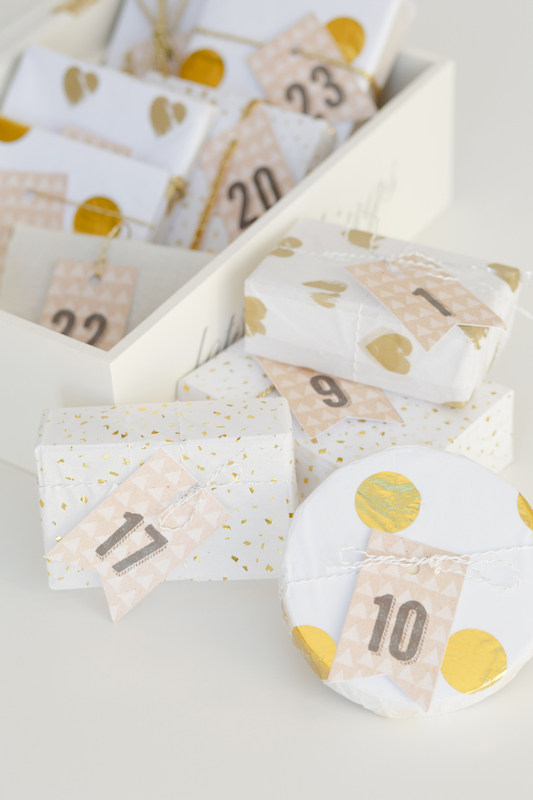 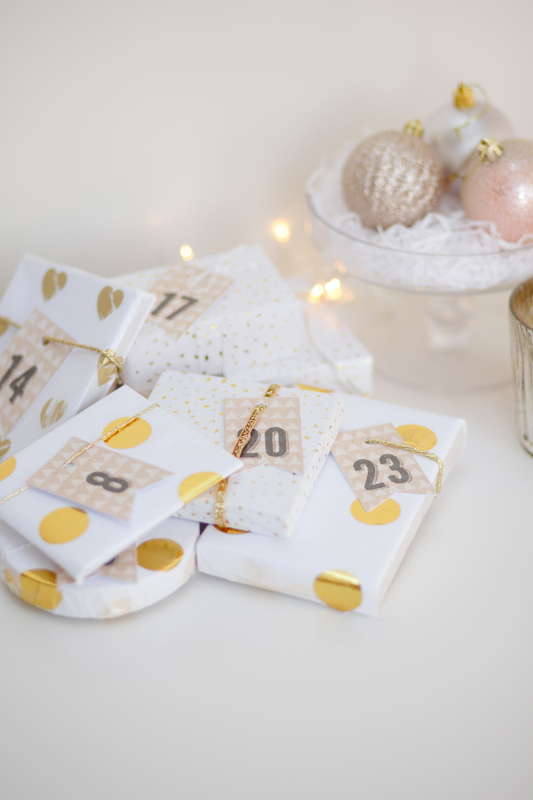 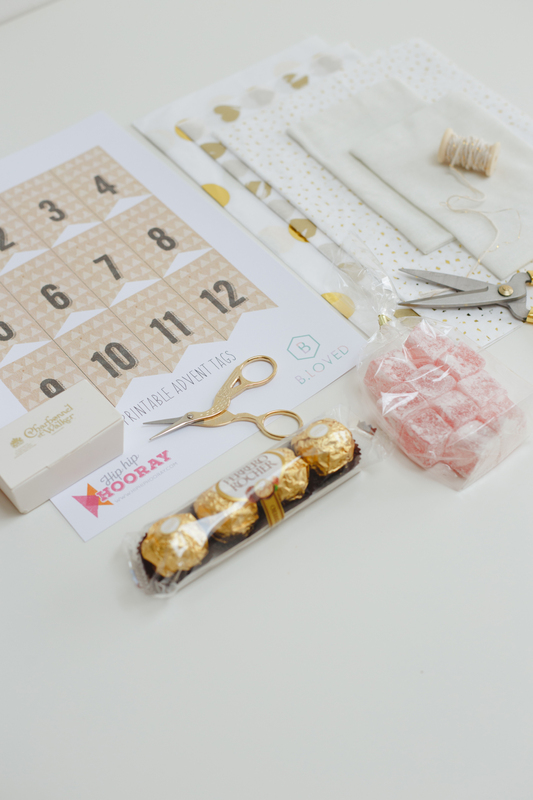 You’ll need to source 24 gifts for this DIY advent project. 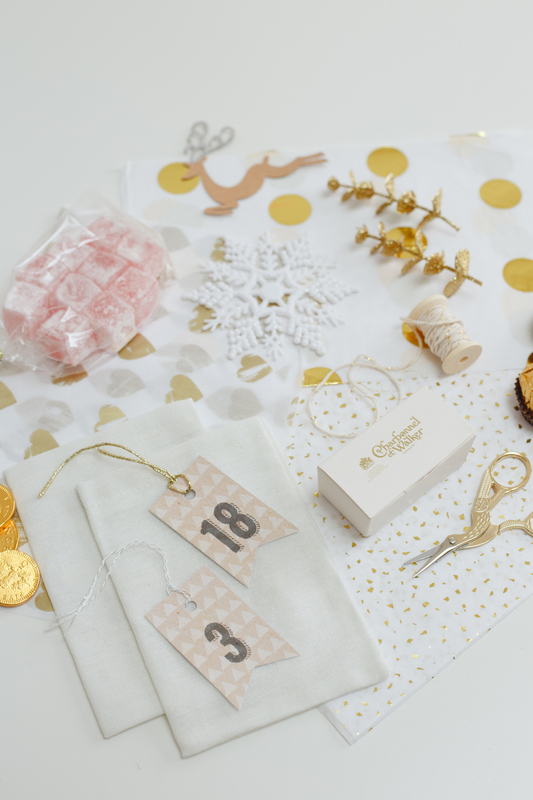 It’s a nice idea to mix things up with a variety of items – I have included a list of ideas to inspire you here, but putting your own spin on this project is what makes it so personal – so get creative and go for it! 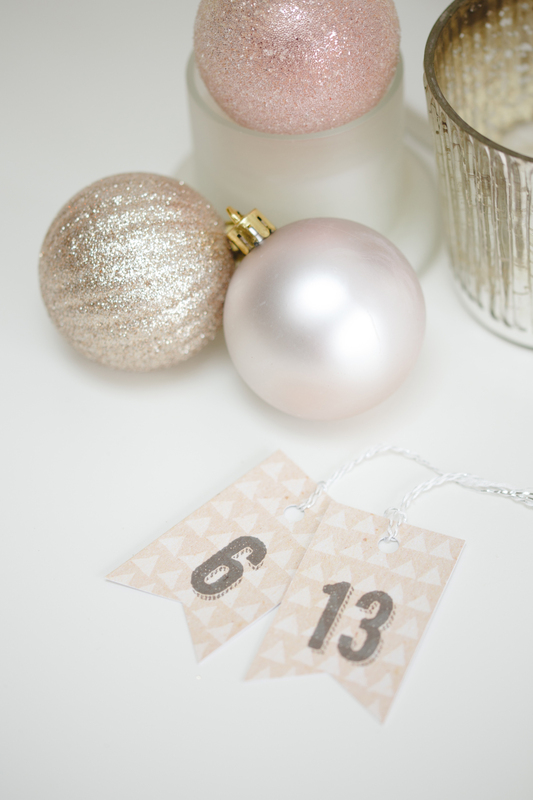 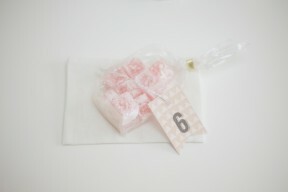 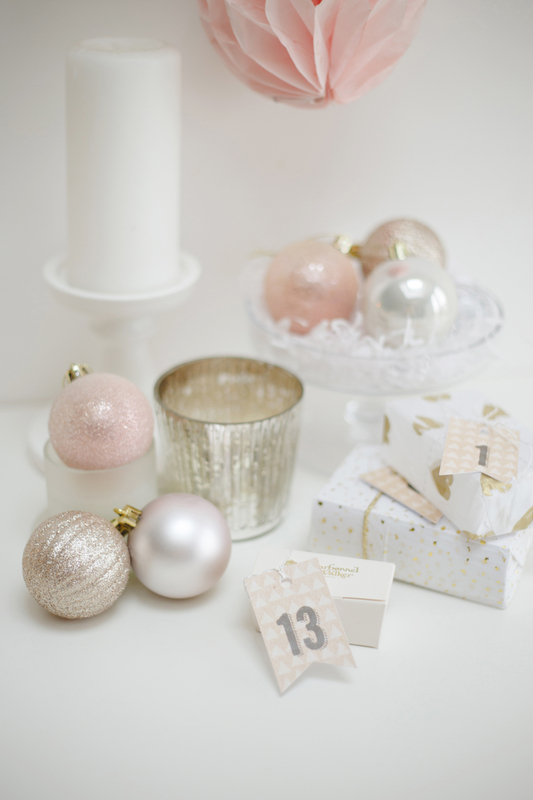 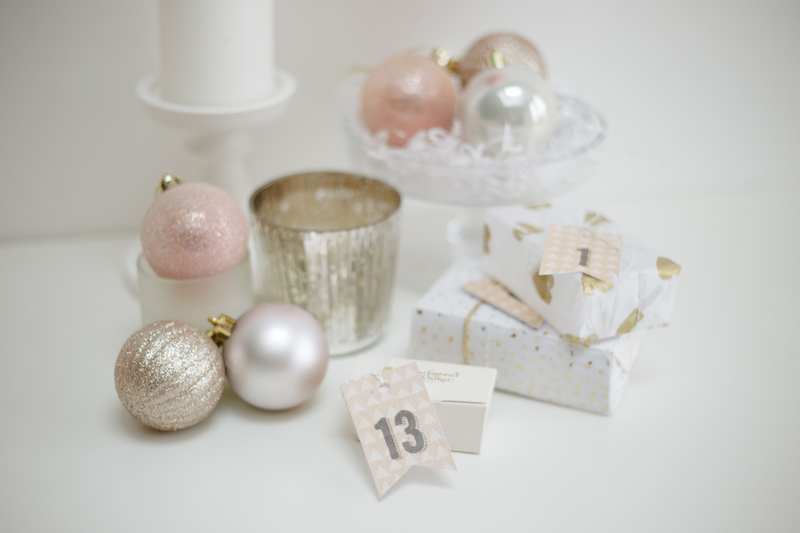 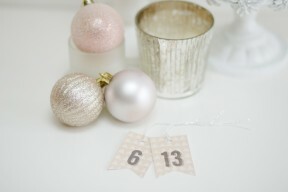 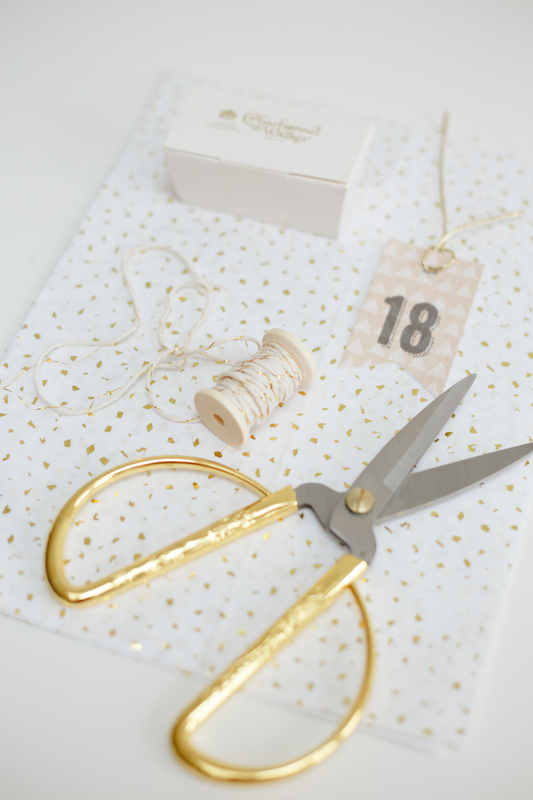 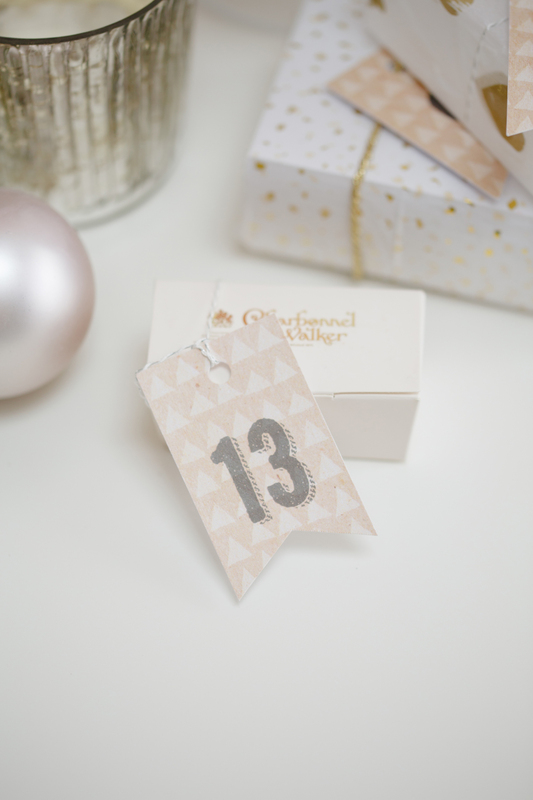 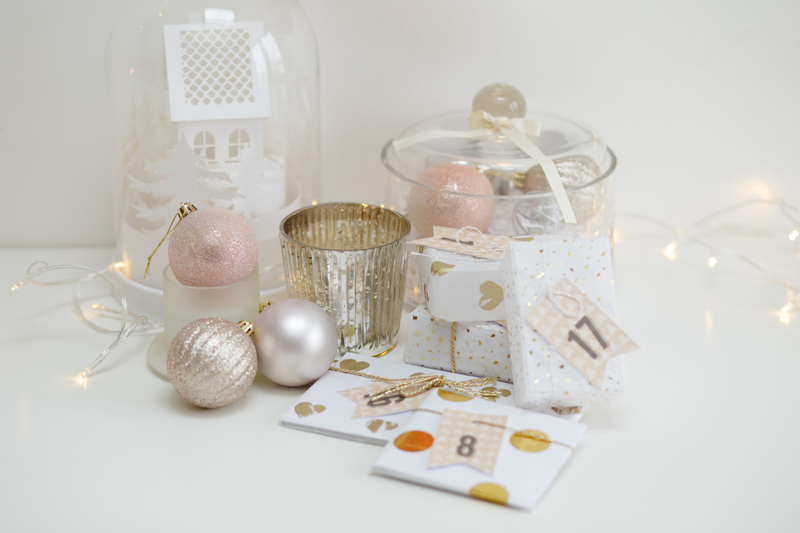 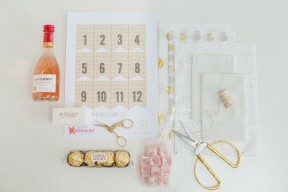 As a contrast to the rustic style free printable advent tags, I wanted a touch of glitter and sparkle to make it sing. 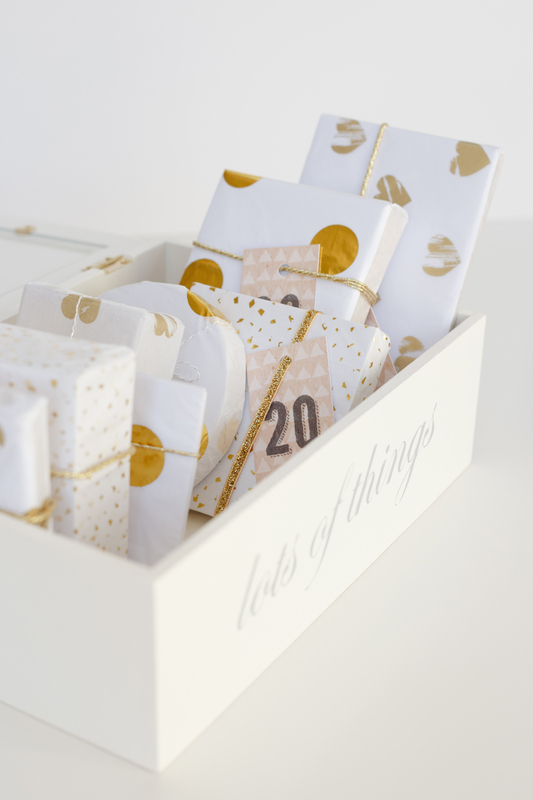 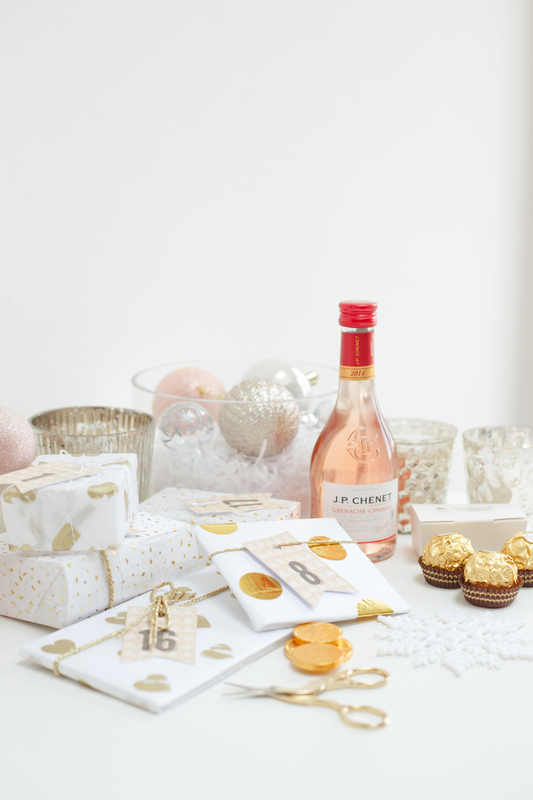 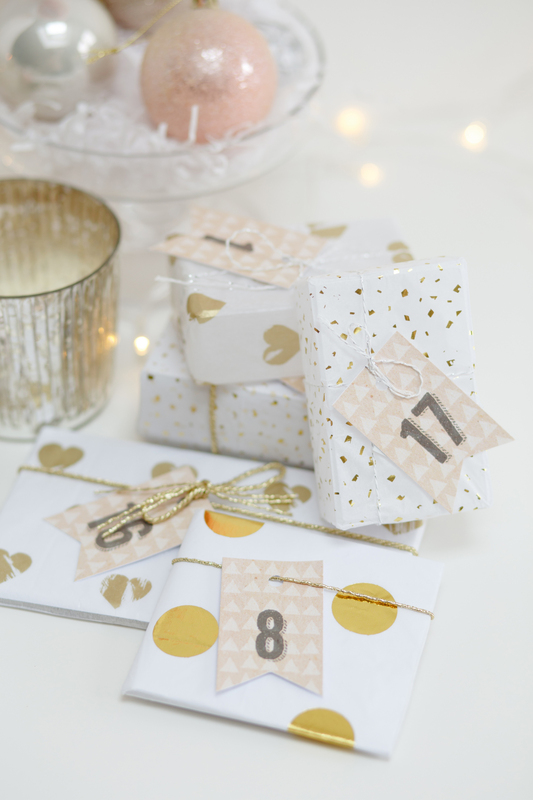 These gorgeous tissue papers, crisp white with some gold foil detail – were purchased at Paperchase. I embellished my gifts with a mixture of gold laces and ribbons, and tied the number tag around each present. 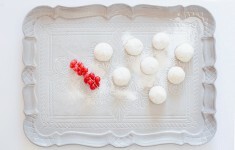 If you try this at home, we would love to see how you get on -why not share a photo to our Facebook page? 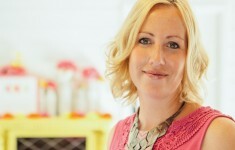 I’m Jenny, co-founder & Creative Director at Hip Hip Hooray and mummy to two beautiful girls. 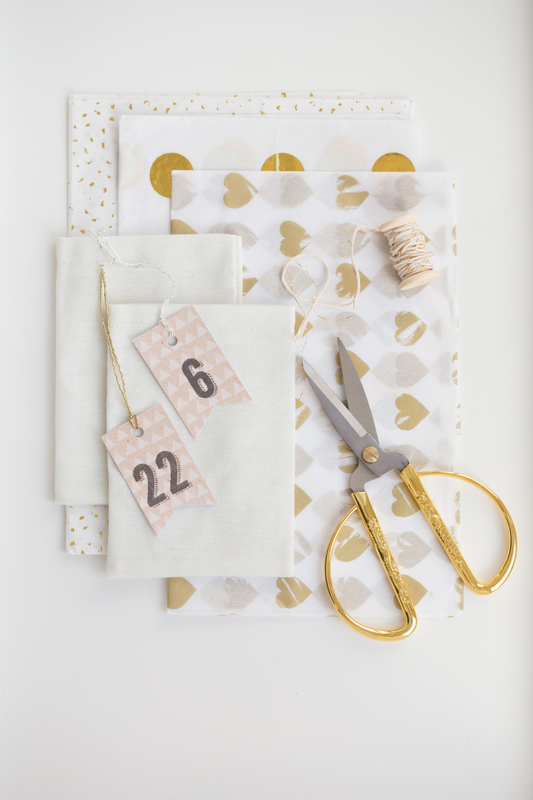 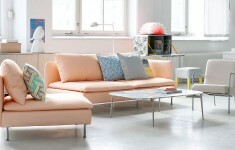 I’ve always been a crafter at heart with a love for all things bright, fun & fresh.